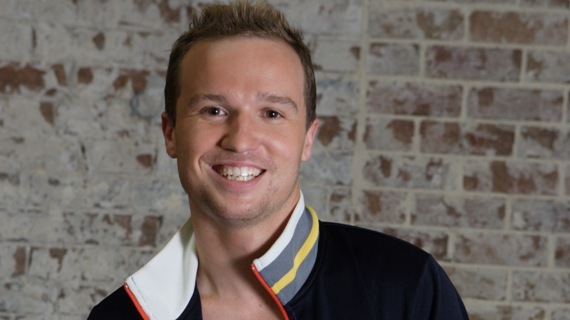 Recently we had the chance to sit down with the amazing Marko Panzic who has fast become one of Australia’s most sought after choreographers after his debut as a top 20 dancer on So You Think You Can Dance in its first Australian series. Marko is constantly moving forward in his career and morphing from one creative position to another. Consistently choreographing for Ricki Lee, Jessica Mauboy and Havanna Brown, Marko recently took on the challenge of Director, Choreographer and Performance Producer with ‘The Voice’. You recently choreographed for THE VOICE, how did you find that experience? So your role was much more than choreographer? “Yes definitely: Director, Choreographer and Performance Producer! What were the stepping stones that led you to be offered that position? “I don’t even know how it happened… I was in Tokyo on Ricki-Lee’s Tour and I received an email from Julie Ward the executive producer talking about the Performance Producer role. The next day I had to have a conference call in the hotel in Tokyo and I was so nervous because this is the position that I really have been wanting and the next step in my career. It was great though, we talked and found we were on the same level of artistry and creativity and then three weeks later I… Got the job!! My life went from this freelance kind of busy life to pretty much from 9am to 10pm at night, 7 days a week – it worked me to the bone. It was twelve weeks of absolute hard work! “The first week I came, we had to put together 32 performances of creative briefs… in one week! And then the following week we had to do 24 but only 12 get performed. So we had to put so many performances together and then last minute be told you’re choreographing ‘Living La Vida Loca’ and its in 4 days, GO! And it really just pushed me to a whole different direction, but it made me feel alive again. I had so much passion for it and it made me really enjoy what I wanted to do, even though I was working really hard. It trained me to think the more you work, the harder you work, everything pays off! I was really happy, I learned from all the people on the show way more than I could ever imagine. Now going into every job, I have a different approach because of the incredible people that put on THE VOICE. “I think it’s important for dancers in general to know the business side of dance and creativity. You have to think, ‘how do I make dance or entertainment come through a TV screen to someone who doesn’t understand dance? ’ – you have to document it and show it in a way that the general public understands about dance. I loved getting educated about all of this on the show. I’m a firm believer of always pushing yourself and you should never get comfortable in thinking ‘I’m the best, I can do this’, because you never are in dance or in creativity. You are only as good as your last job and you have to keep fighting and pushing because it’s a never ending fight in this field. I never thought I would be doing this at 28, I always thought maybe in 10 years time I would love to be a producer on a show… but it was just a blessing! What was the greatest highlight of the experience for you? “I have to say my HIGHLIGHT of the voice was Ricky Martin ‘Living La Vida Loca’, because growing up when this song came out in 1999 or 2000, Ricky Martin was fierce. That was the most stressful thing being told to choreograph for such an iconic song, that everyone knows – I had to pull it off!! So that was a highlight, and it pushed me again because I had to get my dancers in there and I had to explore that genre, it was just this amazing spectacle, so that was a blessing as well! You have come so far, what is your ‘secret’? Marko Panzic is currently shooting Jessica Mauboy’s next video clip! Stay tuned for more on Marko’s already epic career!! Previous Post Carnival Cruise Lines Auditions!